We praise God that the urgent funds needed to build a new bathroom block (after the original one was completely destroyed in a storm recently) at the JP orphanage in Togo, have arrived there! Special thanks to those of you who responded so quickly to that need! There are currently 18 children being cared for there now, including this newly orphaned brother and sister whose parents died of AIDS and who themselves are HIV positive and so in great need of medication. 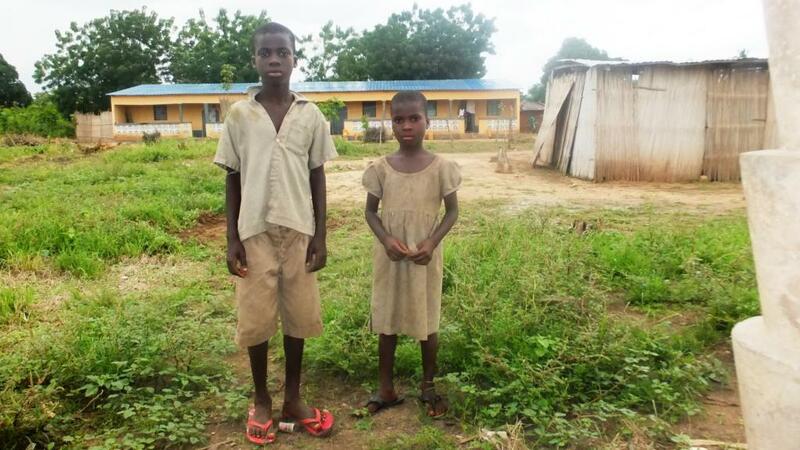 As a new school year approaches there soon, they will all need more school supplies, uniforms and, of course, school fees, so we ask for your continued prayers. In the background (right) of this photo you can see the present “shack” that is Bethany Baptist church inside the Joseph Project compound. The staff, orphans and also several dozen local villagers and children now regularly attend the church, and so there is great need to build a “proper” church building, or at least put a roof on the pillars that have already been started for the new church. Please also keep in your prayers Pastor Sika and his team as they soon return to Agbanakin to show a movie about Jesus Christ. 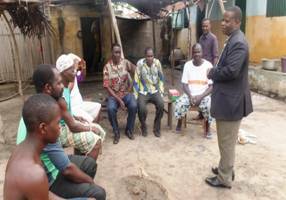 This pagan village has been very closed to the Gospel for many years, but after some visits recently from Pastor Sika (as seen in this photo) the chief has given permission for a movie to be shown to the villagers – as long as Jesus is not mentioned by name! 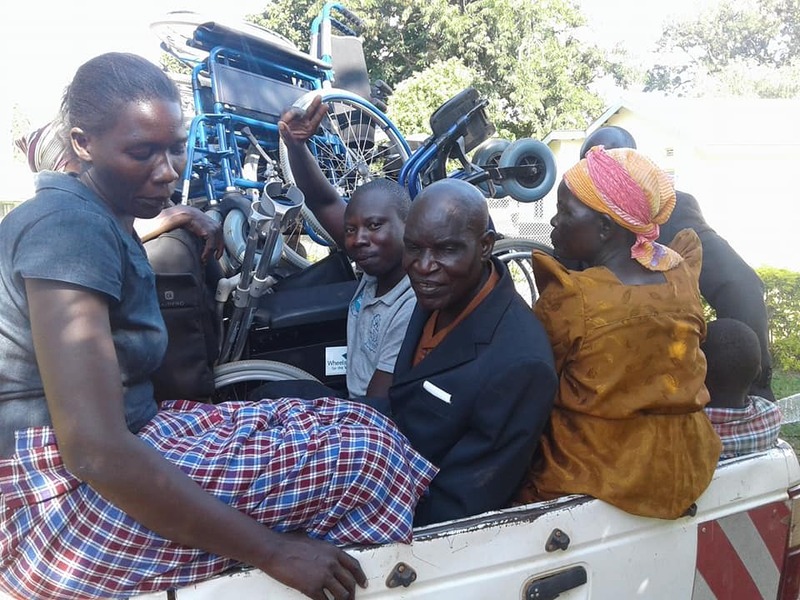 Mike in Kenya returned last month from a ministry visit to Uganda helping “Wheels for the World” distribute dozens of wheelchairs, as seen in the photos here. 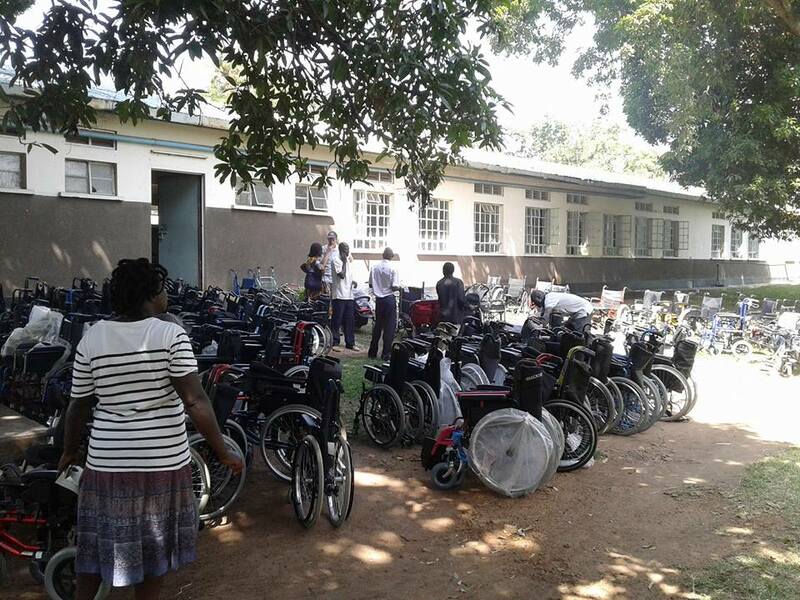 Many are custom fitted with foam to help patients with special conditions such as cerebral palsy, and as it may take several hours and there is currently a famine in Uganda, a meal was also provided for everyone each day. Mike says he ministered Jesus to 220 children and adults, but sadly there were no local pastors to help continue the work of discipleship. After his return to Kimilili he held another rally in a girls school and his coworker Marcie taught children’s ministry training to 24 ministers in Kitale, which went very well.